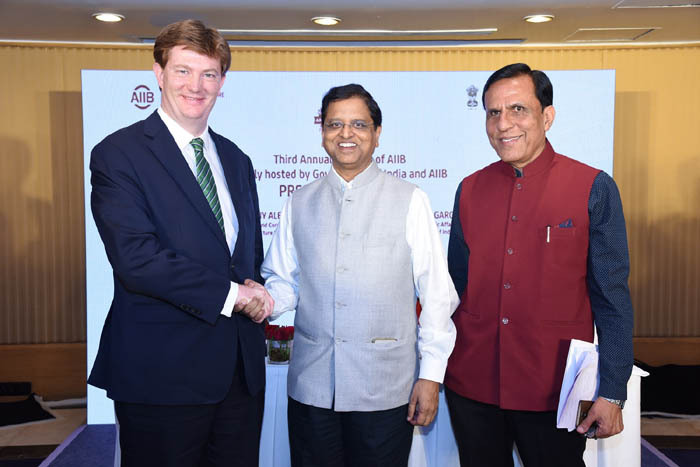 Mumbai, 24 June 2018 : With the total project portfolios of US$4.4 Billion, India has been the largest borrower of Asian Infrastructure Investment Bank (AIIB) lending since the time the Bank started its operations. Unlike most other multilateral development banks set up by advanced economies, AIIB is the first major multilateral development bank where principal contributors are the borrowing members themselves. The third Annual Meeting of the bank focuses on infrastructure, with the theme of innovation and collaboration, said Shri Garg. The Annual Meeting will see participation from 86 members, and member countries will deliberate upon the strategies to mobilize financing for infrastructure. Hon’ble Prime Minister Shri Narendra Modi will deliver the inaugural address on Tuesday.